METHOD Take a bowl and add smashed potato. Ensure no lumps are left over. 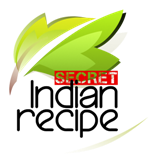 Add spinach, poha, salt, ginger-green chilly paste, poha powder, lemon juice, jeera powder, black salt, red chilly powder. Mix them well. Take lemon size lump in hand and roll it to make ball shape. Press little to make it flat rectangle shape. Prepare rest of all cutlets. Put a pan gas with high flame and add oil. When oil is hot ,add cutlets for fry and fry them till they become crispy with golden brown in colour. Take them out in a plate and fry rest of cutlets. Serve with tomato sauce and enjoy very delicious taste.